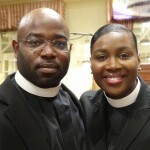 Reverend Lashonna Lynn Smith is an emerging and unique voice in the Body of Christ. Born in Reading, Pennsylvania, she is a graduate of Lock Haven University in Lock Haven, PA, where she earned a Bachelor of Science Degree in Criminal Justice. She is also a graduate of Shippensburg University located in Shippensburg, PA, where she successfully earned a Master of Science Degree in the Administration of Justice. Rev. 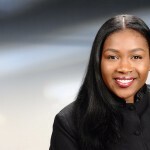 Lashonna received her Master of Divinity degree from Turner Seminary at The Interdenominational Theological Center in Atlanta, GA. She was ordained an Itinerant Deacon at the Bermuda Annual Conference on March 7, 2015. Rev. Lashonna is happily married to Rev. Dr. Jahkimmo Smith, the Pastor of Mount Zion AMEC in Southampton, Bermuda and is extremely thankful to God for their union. She enjoys serving in ministry with her husband and is grateful for the opportunity to serve others. As an Associate Minister at Mount Zion, Rev. 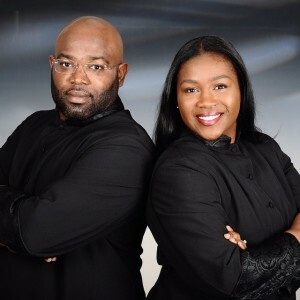 Lashonna preaches and teaches the word of God, leads worship, along with serving as a Minister to Women and Young Adults. She also serves as a conference preacher, workshop facilitator, and contributor to the Christian Corner with F.A.C.E Philly Magazine. She has been blessed thus far to preach and minister the word of God in Bermuda, the United States, and Brazil. Rev. 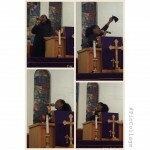 Lashonna is grateful for the opportunity to preach and minister wherever God sends her. She is also the creator of the FORGIVEN Tee, which is a ministry to let the world know that we are forgiven in Jesus Christ.